Amanda "I had such a great time on tour with Maïté! She made sure everything rand smoothly even when unforeseen circumstances arose. I remember me and my fiend d wanted to go to the Uffizzi in Florence but didn't know if we would be able to fit it in with the schedule since there is a big wait for tickets. Maïté was so kind and considerate and stood in line for us while we were on another supervised tour..."
Indulge in a food coma of pasta and pizza in Rome. Discover the secrets of Michelangelo’s Florence. Get that legendary #AwkwardLean photo at Pisa. Venture through the backstreets of fair Verona. Start and end in Rome! 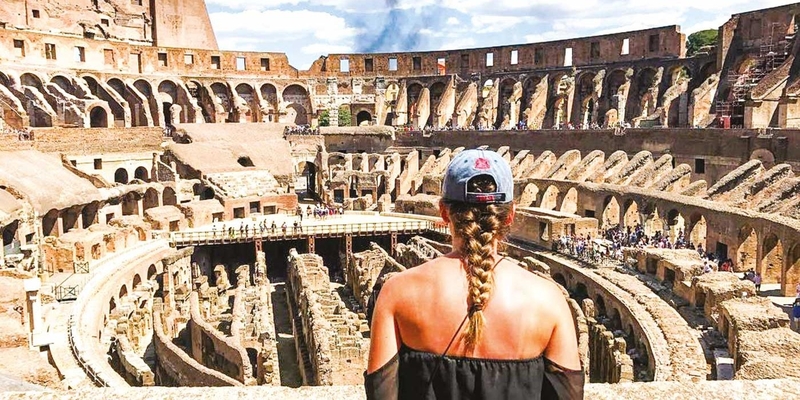 With the discovery tour Italian Espresso (End Rome, 8 Days), you have a 8 day tour package taking you through Rome, Italy and 6 other destinations in Europe. Italian Espresso (End Rome, 8 Days) includes accommodation in a hotel as well as an expert guide, meals, transport and more. It was amazing. Margherita (Megghy) and Fabio were so kind and made my adventure incredible. 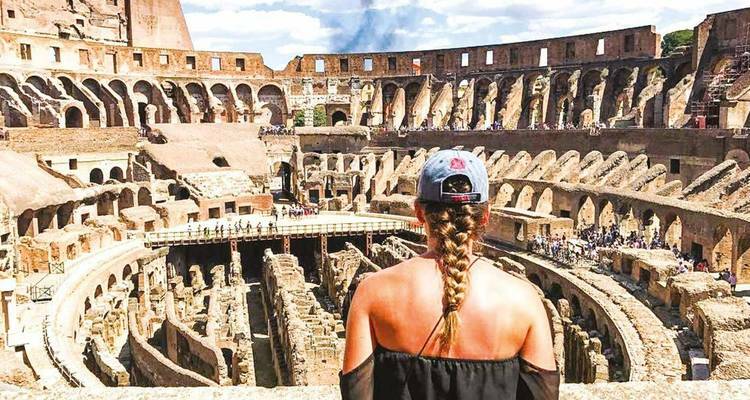 Martina made my first Contiki experience in Italy the best trip I've ever experienced. She has a true talent for what she does and deserves the world. Could not recommend more highly! I have been on two tours with Matei and she really is the best! She's super fun, friendly and patience with everyone! Maite made my time in Italy so much more wonderful that it already was. She was caring and personable, and super fun! I'll never forget my trip with her! I've done 6 contikis to date, and Maite was my favorite guide hands down. She went above and beyond her responsibilities. Maite was so fun as a tour manager! She was informative and organized while also being an incredible personality to be around and hang out with! Everyone on our trip loved her! I am a big foodie, do you have any suggestions for places to eat? Of course, you can't go wrong with Italy. One thing that we typically suggest is talking to your Contiki Trip Manager, they will know about all the great places to eat at that will be close to where you will be staying or travelling through. Will we be able to see Vatican City and the Sistine Chapel? You will have a local guided tour of Vatican City that will include St. Peter's Basilica and the Sistine Chapel. Is there a single supplement for this tour and is it mandatory? TourRadar only requires a deposit of $99 to confirm this Contiki booking. The remaining balance is then payable 50 days prior to the departure date. For any tour departing before 15 June 2019 the full payment of $1,292 is necessary. No additional cancellation fees! You can cancel the tour up to 50 days prior to the departure date and you will not need to pay the full amount of $1292 for Italian Espresso (End Rome, 8 Days), but the deposit of $99 is non-refundable. Covering a total distance of approx 1,072 km.